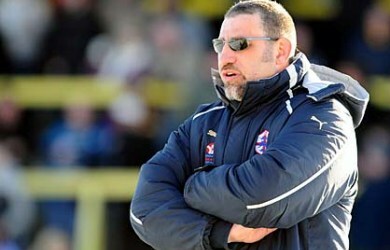 Batley Bulldogs coach Karl Harrison believes his side are now starting to make the pundits eat their words. Batley racked up their eighth win of the Co-operative Championship campaign when they won 34-12 at Hunslet last week. They are only one point adrift of second-placed Featherstone, and Harrison insists the Bulldogs’ Grand Final ambitions are genuine. Harrison has been further boosted by the news that George Flanagan could return on Sunday following a recent knee injury, but Daley Williams (shoulder) faces three months on the sidelines. Former Crusaders star Anthony Blackwood is set to return to the Barrow Raiders squad after recently agreeing a switch from French side Limoux. Raiders forward Ned Catic remains suspended and James Nixon is still recovering from a broken leg. Barrow coach Nigel Wright will be hoping for improvement on last week’s 30-18 win over Toulouse, although he admitted there were aspects that particularly pleased him.